Beautiful pillows showcasing pops of reds and burnt oranges line the classic pinstripe sofas, giving the living room a warm and classy ambiance. With its cozy and inviting feel, what was once a room that was barely used is now difficult to leave. Detailed pillows intricately decorated with buttons add beautiful, interesting touches to the guest bedroom. Old world charm radiates from the pine table surrounded by newly painted red chairs in the breakfast nook. 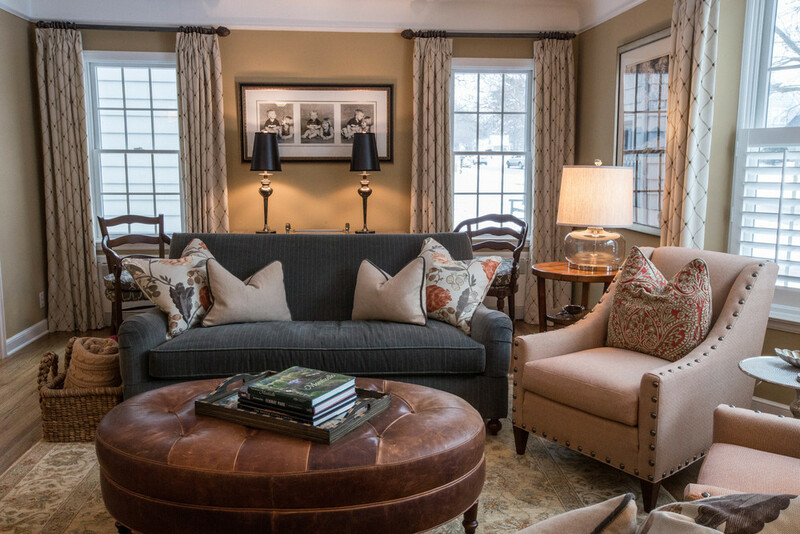 Explore different rooms to find that what was once old is now new, as several of the client's favorite pieces have been repurposed and painted to match the newer hues featured throughout the home. With elements old and new, this home combines both to create a familiar yet refreshing setting.